The psychedelic era was chock-full-o-cool album covers. The Zombies’ Odessey and Oracle is one of those cult records that even cultists like me missed out on. Other than the hit single Time of the Season, the LP vanished without a trace at the time of its release. Columbia Records grudgingly released it and the band broke up not long after it hit record shops. Not exactly a recipe for success. Part of its legend is the cover, a painting done by Terry Quirk, a friend of Zombies bassist Chris White. 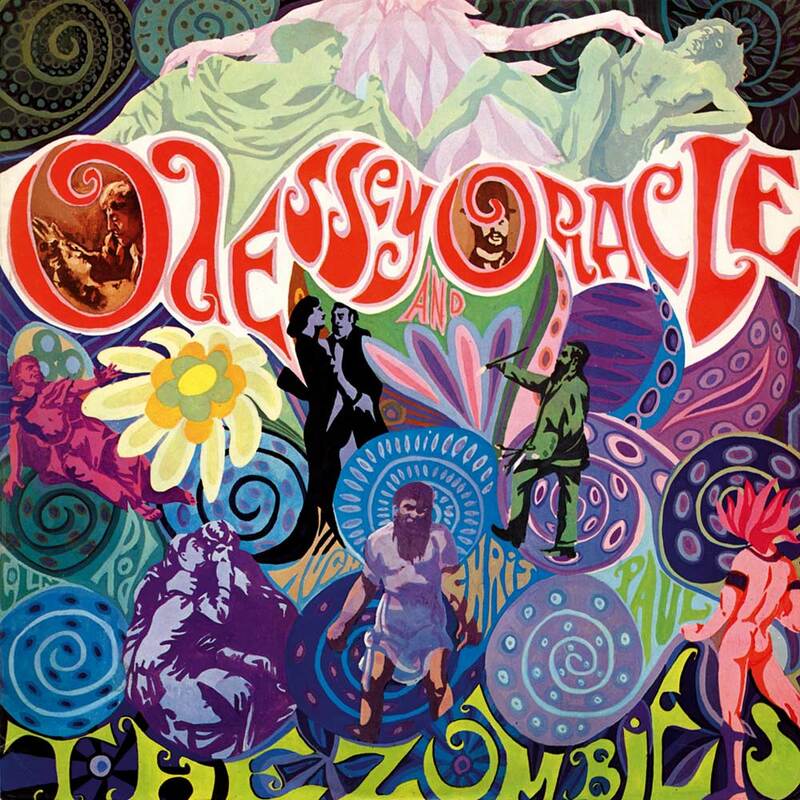 Although classic in its own right and inarguably gorgeous, the cover illustration features a noticeable gaffe: Odyssey is misspelled “Odessey.” At the time, several of the Zombies maintained the misspelling was intentional, but in recent years, the band admitted it was a mistake they caught by the time the record had gone to print. Dang. I hoped it was a pun; now that I think of it, Homer’s Odyssey was an ode of sorts. Few songs are more fun for road-trip sing-alongs than Time of the Season. Even if it’s just me in the car.